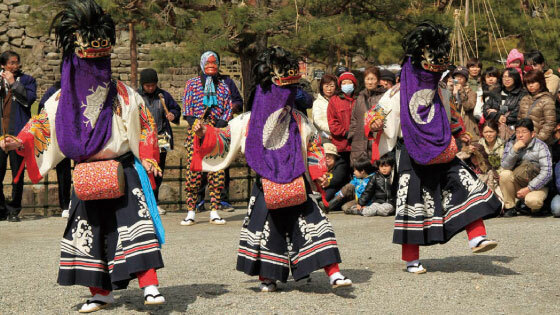 Performing traditional dances, three “shishi” dressed as lions dance to the sound of flutes and drums around the town as spring emerges from winter. This is a traditional event in Aizu, meant to pray for a bountiful harvest and peaceful household. 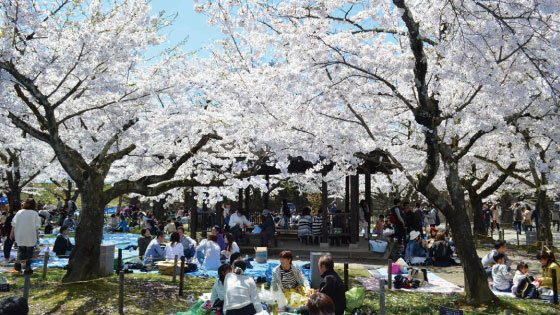 People rejoice over the begging of spring in the event. The Tsurugajo Castle area is illuminated during the cherry blossom season to attract visitors with its fantastic beauty, featuring a thousand cherry blossom trees. 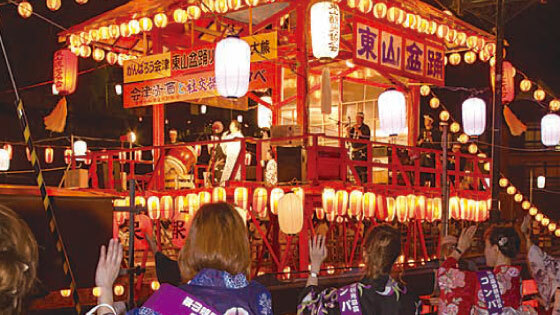 Events recreating the air of the former castle town are held, and a children’s parade, featuring 10 portable shrines are held on the grounds of Tsurugajo Castle. 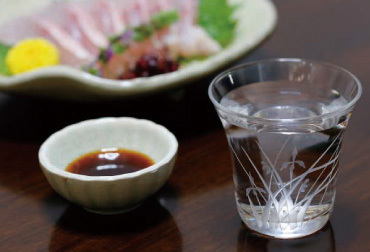 Various events such as a traditional Japanese tea ceremony and Japanese sake tasting are held during the festival. Locals and visitors alike enjoy dancing to “Aizu Bandaisan,” a local folk song, and the music of Japanese flutes and drums. Dance around a yagura platform built over the Yugawa River, which flows through the Higashiyama hot spring village. Since landladies and geigi (local geisha) of the nearby hotels lead the dance, anyone can follow their lead and join the dance. The Aizu Clan Parade is the biggest event of the Aizu Festival. A procession of nearly 500 people dressed up like samurai and historical figures walk in a parade around the city. A formal ceremony is held at Tsurugajo Castle before the parade. In the city, yakko-tai warriors with red painted faces perform mock battles with decorated spears. 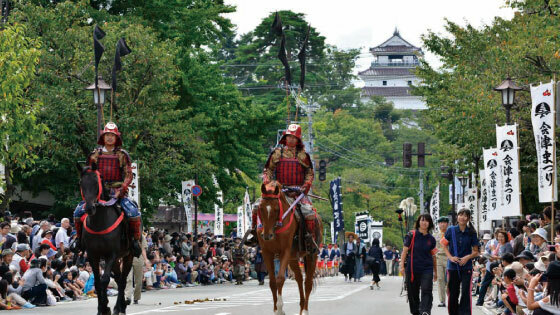 This is the largest event in Aizu, which takes the whole city back to 300 years ago. 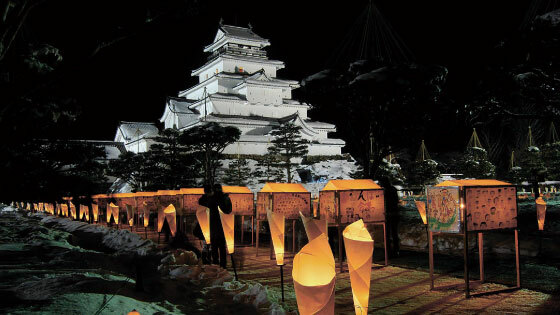 Aizu painted candles are lit and set in the snowy ground and in lanterns during this event. 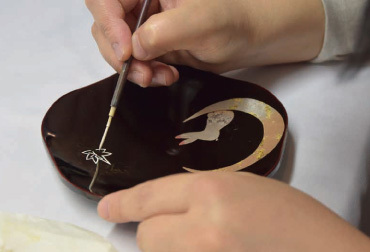 Painted candles are traditional crafts in Aizu. Artisans paint each candle by hand. About 15,000 painted candles are lit in popular locations around Aizu, such as Tsurugajo Castle and Oyakuen Garden. Enjoy the nighttime winter scene. This traditional event has been held for over 400 years. It is the biggest market in the Aizu area, and the first market of the year. 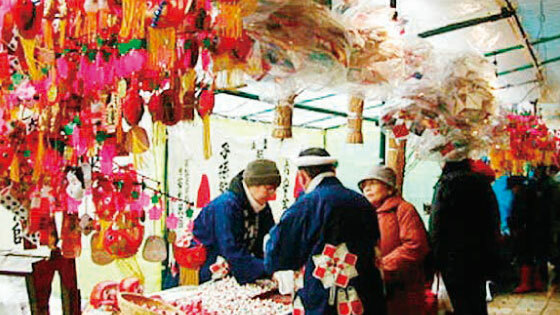 Approximately 400 shops line up along the streets, and sell lucky charms such as okiagari-koboshi figures, Japanese pinwheels, candy, daily goods, lacquerware, and food and drinks. Nearly 150,000 people visit this new-year event. 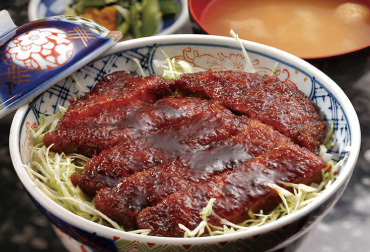 Aizuwakamatsu has been well known as a castle town that has flourished since long ago. 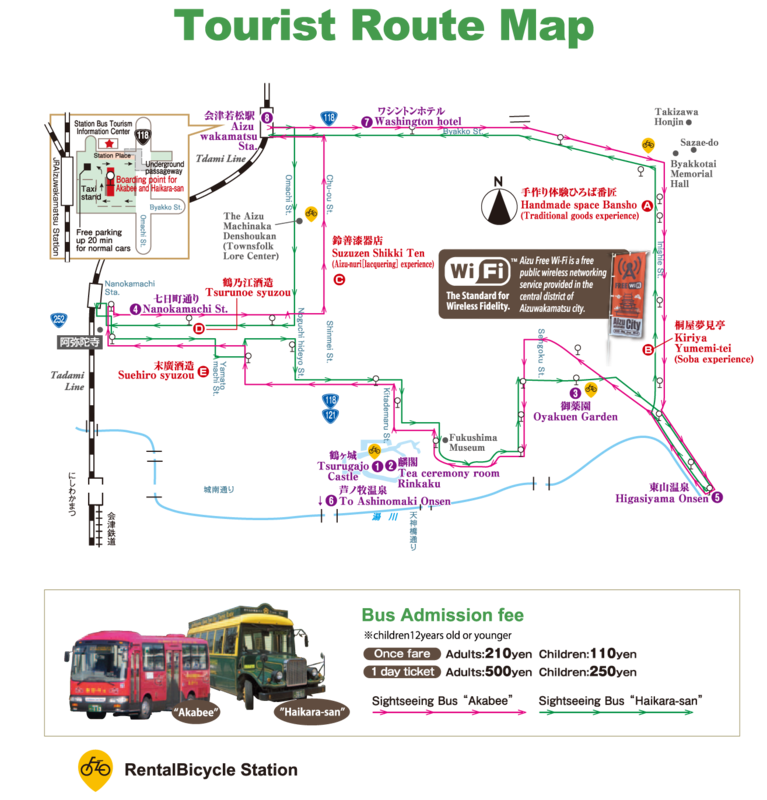 Come visit us to experience authentic traditional Japanese culture. It is one of the few areas in Japan where these experiences are possible.